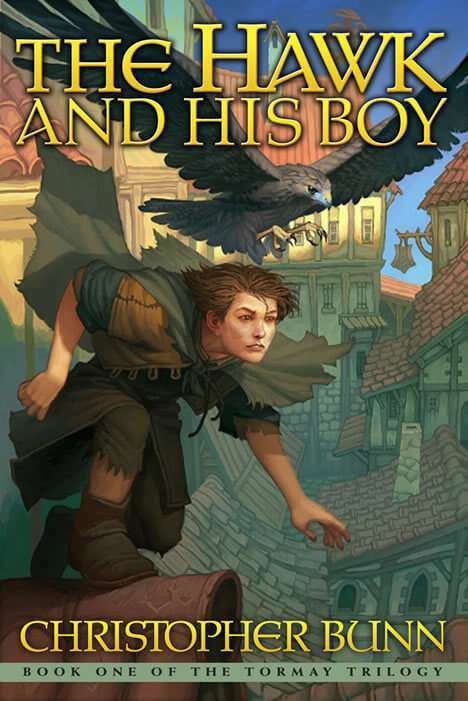 The first book of the Tormay Trilogy, The Hawk and His Boy begins the story of Jute, a young thief who is hired to steal an old wooden box from a rich man’s house. On pain of death, he is instructed by his masters to not open the box. Being a curious boy, he opens the box and finds a knife inside. He accidentally cuts his finger on the blade and thus begins a series of events that soon has him on the run from his former masters in the Thieves Guild, the rich man (a particularly vindictive wizard), and the Guild’s original and anonymous client who hired them to steal the box in the first place. The client, who happens to be the Lord of Darkness himself, will do anything to catch Jute, even if it means plunging the entire land of Tormay into war. Beautiful prose, rich character development – rare finds in this age of ebooks and indie authors. The sheer number of characters is dizzying, and I wonder why the book ends where it does instead of getting more of the story told before we turn the last page of Book One. The hawk is marvelous, and the final image of him awake at his post all night while Jute sleeps is magical. The magic in the prose is what moves me to give 5 stars to a story that seems weaker in plot and pace than in character development. 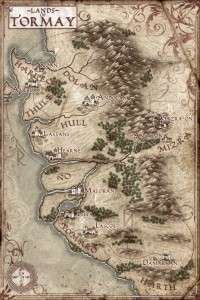 Jute, The Juggler, The Knife, the wizards, the female characters – Levoreth, and more names than my brain will hold for long – all are memorable and riveting. It’s a shame we don’t get to stay with any one character long enough to see a story through to the end. The wolves, the mystery killings, the box with the hawk engraved on the lid, the missing contents (but Jute didn’t take what was inside! Why is it missing toward the end of the novel? ), the quest of Ronan, the Autumn Harvest, the horse deals…. so much is going on here, this can’t be a YA or children’s fantasy. It has a very adult feel, to me. Very sophisticated, complex, intriguing and rich with myth and legend. It doesn’t follow the conventions of the hero’s journey, at least not in Book One. I’m looking forward to Two and Three. This is well crafted prose, full of mystery and magic, told by a master storyteller.